I love Christmas! I didn’t realized how important Christmas it is until I came to Finland. Christmas feels like Chinese New Year in many ways: people anxiously trying to buy gifts, people clean their houses thoroughly, everybody receive gifts and eat together with family. This year is my fourth Finnish Christmas. This time, I decided to unravel the mystery of Finnish Christmas food. 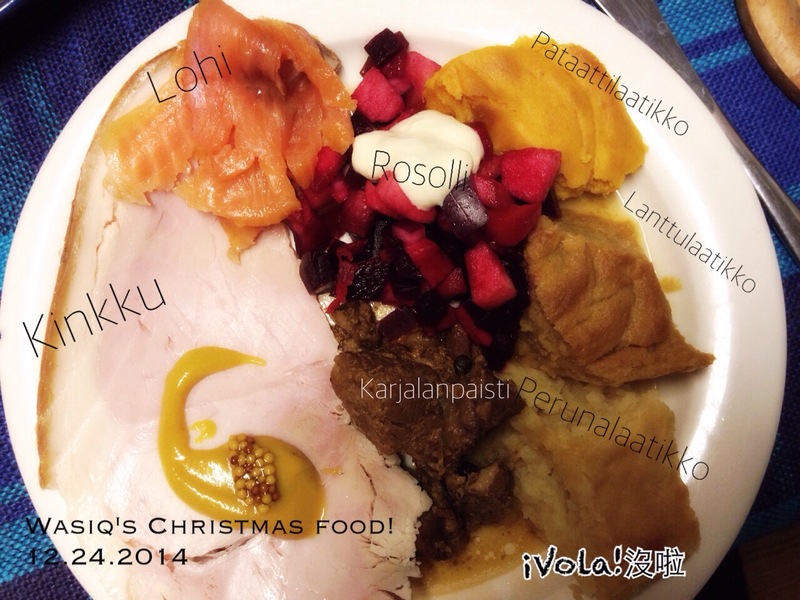 I had kinkku (ham), karjalanpaisti (Carelian stew), perunalaatikko (potato casserole), lanttulaatikko (rutabaga casserole), bataattilaatikko (sweet potato casserole), rosolli (a kind of salad, find more information about it here) and lohi (salmon).